News of a storm killing 31 people in Bara and Parsa has been reported in all major newspapers with a priority. 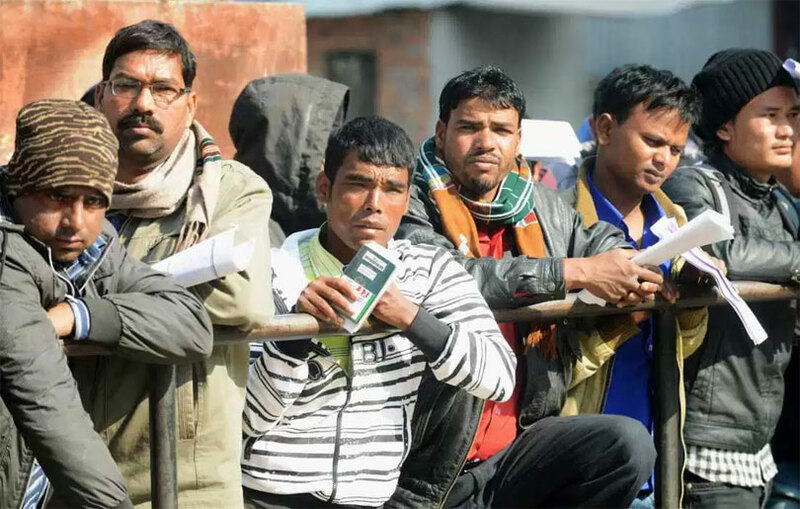 The Labour Ministry making arrangements to allow Nepali migrant workers with ‘calling visas’ to travel to Malaysia has also been featured in some newspapers. Republica and The Himalayan Times report that the Ministry for Labour, Employment and Social Security has made arrangements for allowing Nepali migrant workers, who had completed their visa procedure before the government suspended labour migration to Malaysia last year, to fly out to the southeast Asian country. The Labour Ministry has finally come forward in allowing those workers with calling visa to reach their labour destination country. Workers with calling visa have completed all the procedures required for jobs in Malaysia and are only left to get the final stamping from the Malaysian Embassy in Nepal and receive the labour permit from the Department of Foreign Employment (DoFE). Workers with calling visa will be allowed to join their jobs in Malaysia in the next few days. Republica reports that private schools have increased their tuition fees as confusion persists over who regulates school fees in the federal structure. The absence of any regulatory mechanism amid the confusion has emboldened the private schools, which have hiked fees in an unjustified manner, say Guardians’ Association of Nepal (GAN) officials. The officials say that some schools in Lalitpur have increased their fee up to 40 per cent. 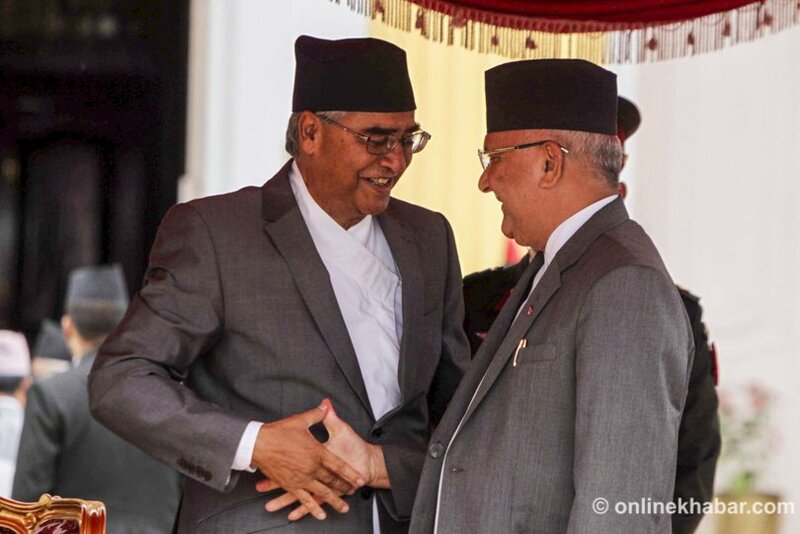 The Kathmandu Post reports that at a time when constitutional and legal experts have taken exception to the government’s unilateral decision to nominate officials in the constitutional bodies, Prime Minister KP Sharma Oli added a twist in the tale, saying Sher Bahadur Deuba, the leader of Nepali Congress, was consulted before recommending an incumbent secretary for the post of chief election commissioner. 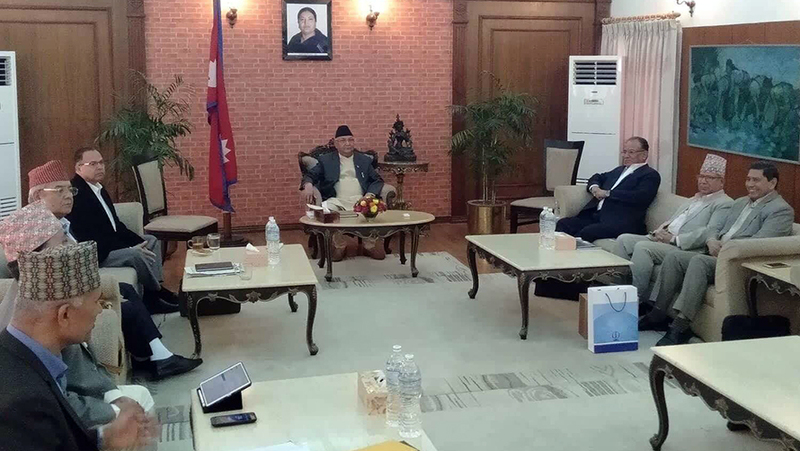 Oli on Sunday told reporters in Biratnagar that the decision to recommend Thapaliya was taken in agreement with Deuba. But Deuba’s party, Nepali Congress, rejected the prime minister’s claim. 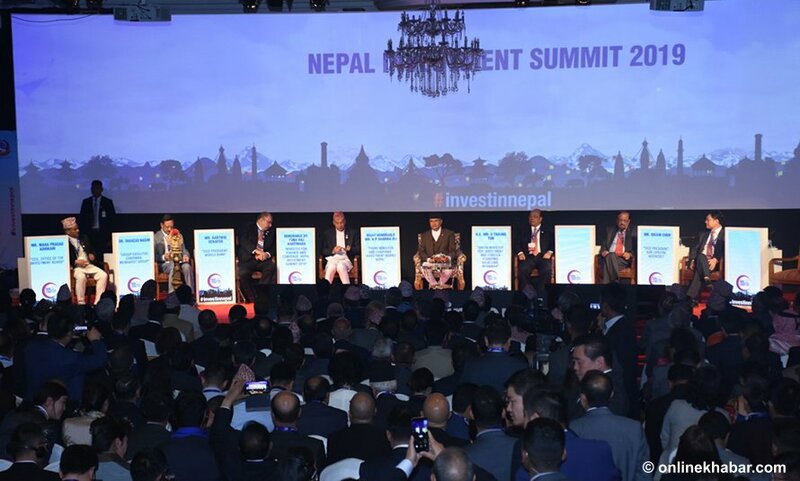 The Kathmandu Post reports that two provincial governments have tried to make the most of Nepal Investment Summit. Province 2 and Sudurpaschim Province tried to woo the investors in their own way. Although Province 2 did not showcase any projects, it tried to disseminate information about the province, including its geographical location, the benefits companies can reap by investing in the region through recent incentives like tax exemption, and what the provincial government can offer to potential investors. All the districts in Province 2 share a border with India. 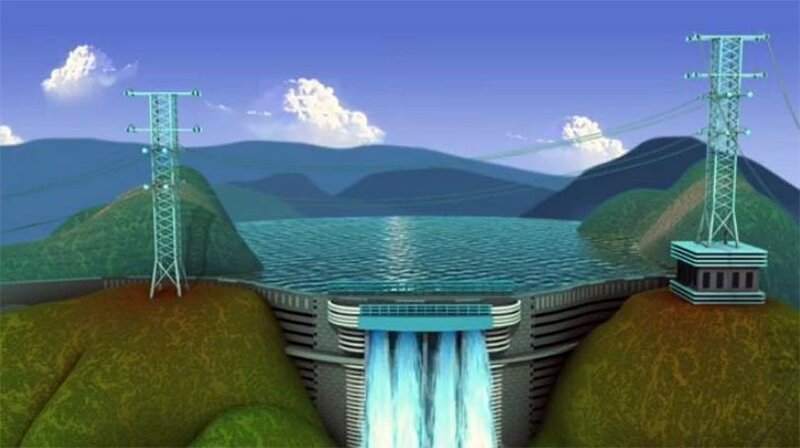 Sudurpaschim Province, on the other hand, went a step ahead to tell investors about the seven projects selected by the Investment Board Nepal and nine additional potential projects in the region. Karobar reports that nearly 100,000 people will be appearing in the Korean language test under the Employment Permit System. Sunday was the last day to fill the forms to appear in the examination. A total of 92,150 people had filled in the application to take the test, which is the highest number in EPS history. Naya Patrika reports that arrears under government ministries and universities have exceeded Rs 2oo billion in total as arrears worth Rs 104 billion were added last year. Arrears Settlement Evaluation and Monitoring Committee’s report for the previous fiscal year showed arrears of Rs 210 billion which was divided into ministries (Rs 174 billion) and universities (Rs 36 billion). A Nepal-India border point sealed in the run-up to local level elections in Nepal, on Monday, June 26, 2017. 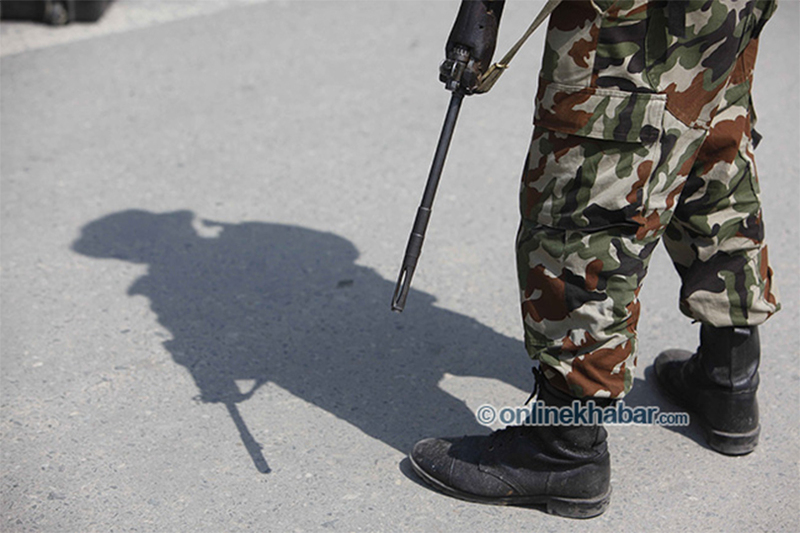 Annapurna Post reports that some Nepal-India border points will remain closed for three days from April 9 to April 11. 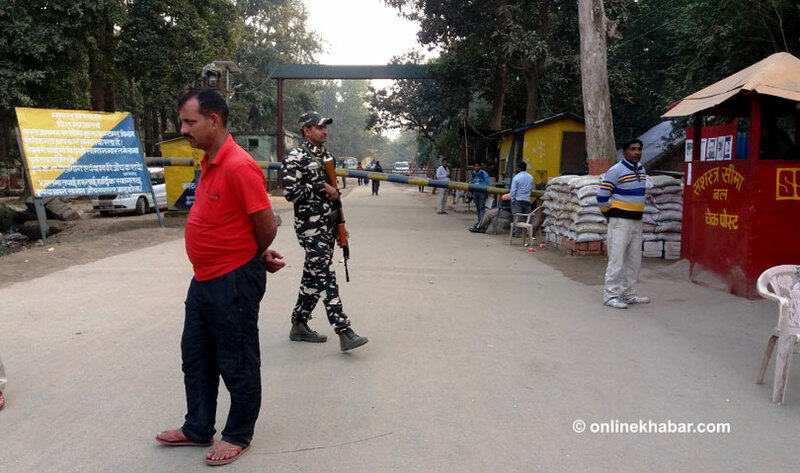 The border is being closed due to India’s general election taking place in India on April 11. This decision was made after Nepali and Indian teams held a meeting to discuss the issue. Officials say the teams also discussed boarder security and border crimes among other issues. Nagarik reports that the Cabinet didn’t give Drinking Water Minister Bina Magar permission to travel abroad. Magar was due to travel to Costa Rica to attend a conference on Drinking Water; however, the Cabinet declined her request. 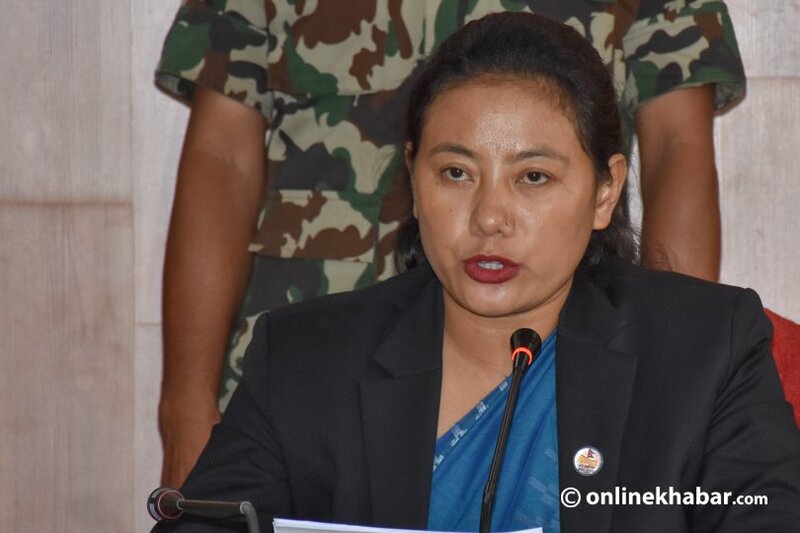 Officials at the Drinking Water Minister do not know the reason why Magar’s visit was cancelled by the Cabinet. 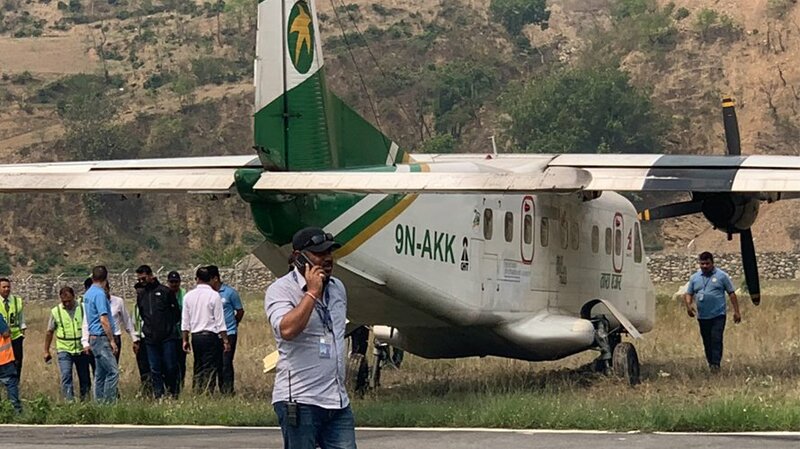 Kantipur reports that the APF van driver who rear-ended a scooter on Friday have reached a mutual agreement before a case was filed. Scooter rider Santosh Kunwar and driver of the ASI Lila Bahadur Rana reached a mutual agreement at Lokendra Bahadur Chand’s residence. Former Prime Minister Chand has also apologised to Kunwar.